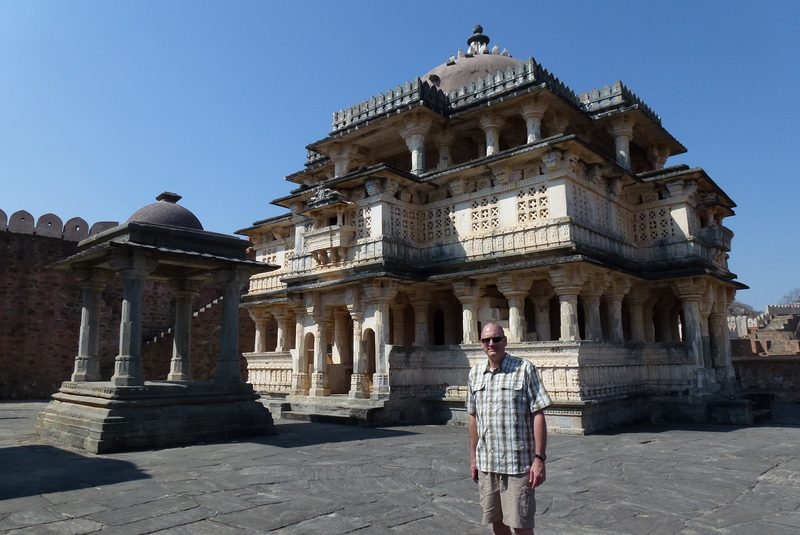 On our way from Udaipur to Jodhpur, India there are at least two major sights definitely worth visiting, Kumbahlgarh Fortress and the incredible Ranakpur Jain Temple (I will review the Ranakpur Temple in a separate post). Kumbahlgarh is about 80 km (50 miles) north of Udaipur, and somewhat remote – the roads got narrower as we went (barely one lane wide) and you had the feeling that the road might come to an end and that we’d be hiking before long. You are definitely in the countryside! As we rounded the corner on a winding hillside, there it was in front of us, an imposing sight on a high hilltop (1,100 meters or 3,600 feet altitude). Even though the fortress is remote, it gets its share of visitors from Jodhpur and Udaipur, due to its significance and well-maintained structures. On the day we visited, we were lucky, we pretty much had the fortress to ourselves. 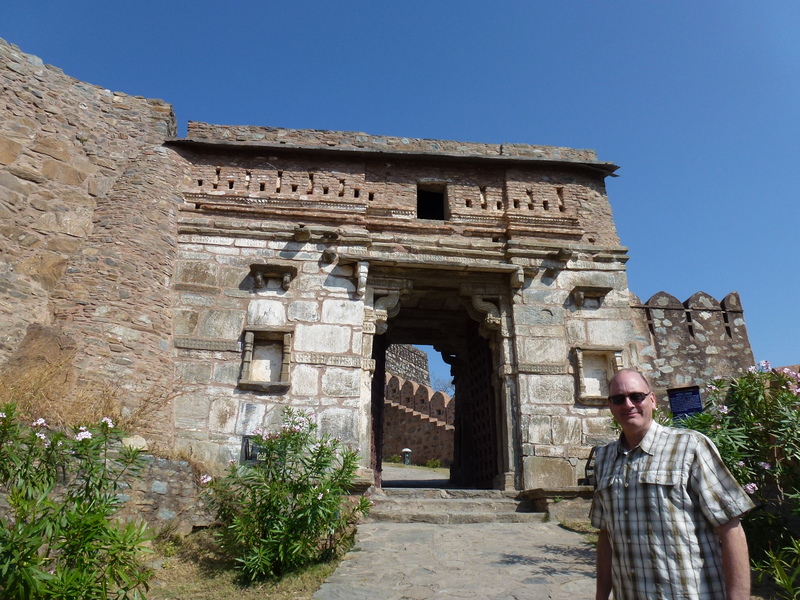 One of several gateways as you climb to the Kumbahlgarh castle. 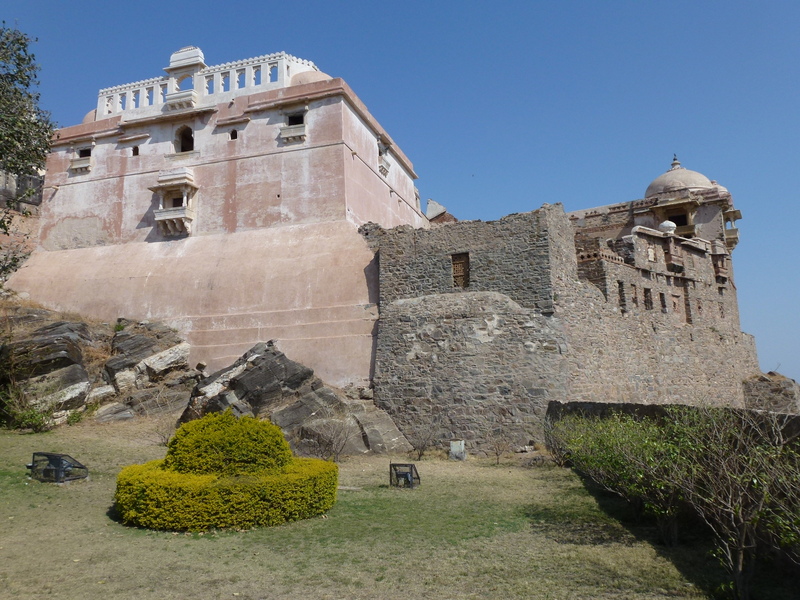 The castle within Kumbahlgarh fortress. Kumbahlgarh was built from 1443 – 1458, on the site of an earlier fortress and some of the ruins here date back to the 2nd century BC. It has a commanding view of the countryside and is surrounded by 12 km (7.5 miles) of massive walls that are in some places wide enough for 8 horses to ride abreast. 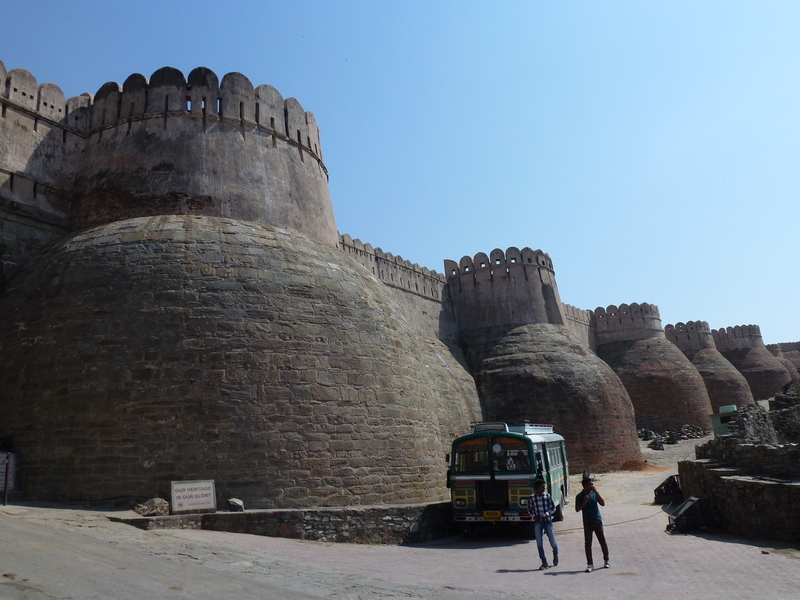 A view of Kumbahlgarh’s massive and imposing walls from the outside. 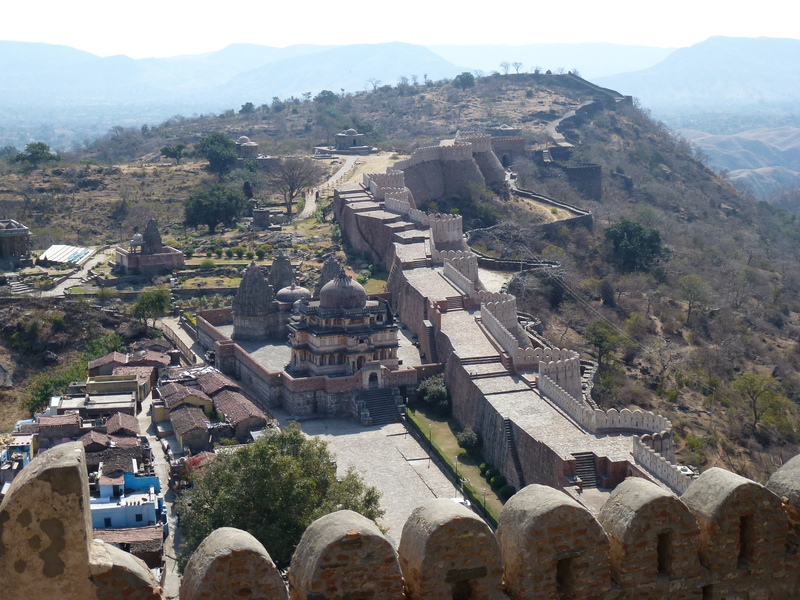 A view of Kumbahlgarh’s walls and the village inside. It would take about 4 hours just to walk all the way around the thick walls and you could spend another half day wandering around the enclosed hilly area and visiting the many outlying structures, 360 in total. There is also small living village inside the main fortress. 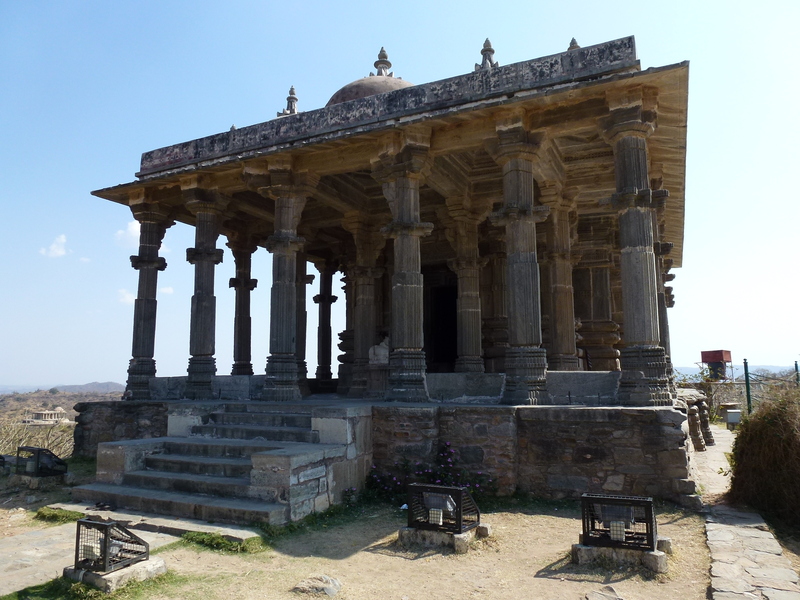 The Vedi Temple – built in 1457 for performing rituals after the completion of the fort. The Hindu Neelkanth Mahadev Temple, built in 1458. 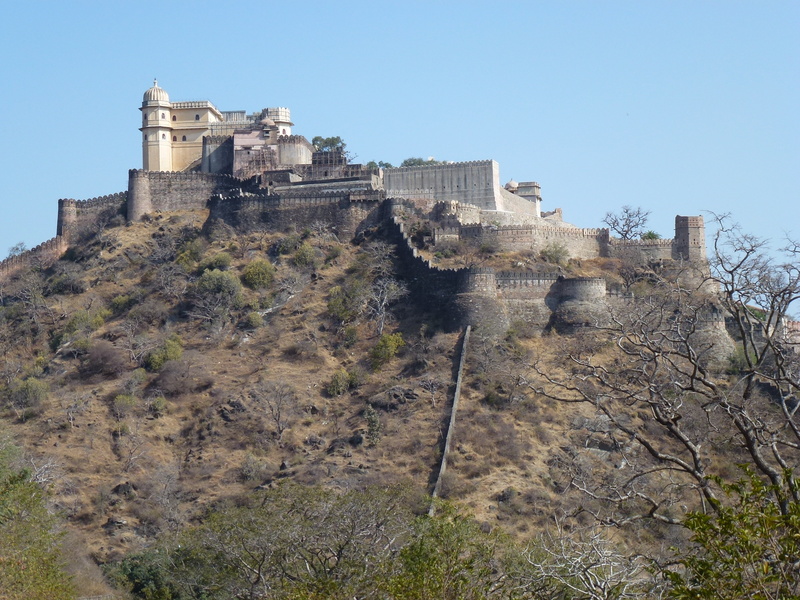 If you like stunning old fortresses, Kumbahlgarh should be on your list! Posted in India and tagged India Travel, kumbahlgarh fort, Things to see in India on May 10, 2015 by Paul Terry.